Wisconsin has several kinds of bats, the Little Brown Bat, the Northern Myotis, the Big Brown Bat, the Silver Haired Bat, the Red Bat, the Hoary Bat and the Eastern Pipistrelle. We live near the Horicon Marsh so we chose to do our report on the Little Brown Bat since it is the most common one in our area. I am also sending a listing of the materials we used. We would like to thank Maureen Rowe, Wildlife Manager, for all the help she has given us in gathering information and editing our final copy. Some people think that bats are ugly but thats not true. 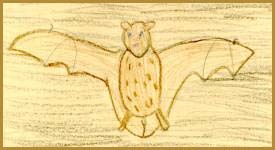 Bats are the only flying mammal. The Little Brown Bat has tiny black ears. It has glossy olive brown to yellowish brown fur on its body. It has a small blunt nose, a long tongue and tiny black eyes. It is about 3 1/2 inches long and weighs about 1/4 of an ounce. Its wings are thin and have black skin stretching from the sides of the body and short back legs, along the forearm and over the fingers. The thumb sticks out of the front edge of the wing and has a claw at its tip. It has five toes like claws on each back leg. It has needlelike teeth. Bats help us by eating insects. Bats are nocturnal so they eat at night. They eat insects like mayflies, beetles, moths, and mosquitoes. One bat may eat 33,000 mosquitoes in one summer. Bats eat thousands of mosquito- sized prey each night. The Bat Conservation International found Little Brown Bats in a room full of mosquitoes caught up to 600 in only 1 hour. Bats can find their food and way around by using echoloction. They send out sounds and listen to echoes coming back. 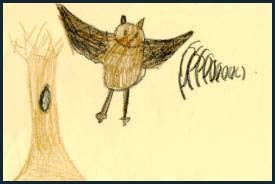 They can tell the size, shape and texture of objects they are flying towards. They can tell if the object is moving or still. In summer bats can roost in tree bark, attics, and behind shutters or under awnings. Some bats rest in the hollow parts of trees. They also like abandoned buildings. Bats like warm places to roost. Mother bats have only 1 baby a year. Baby bats are called pups. When they are born the babies are naked. They have their eyes closed and they have folded ears. Their eyes open after ten days. They can hang on to their mother and the roof of the roost. The mother sometimes carries the baby when it is very young. The babies huddle together in a nursery roost for warmth and protection. It may be very noisy in the nursery. They start to fly at 3 weeks to a month. They are fully grown when they are 6 to 8 weeks old. In winter Little Brown Bats go into caves or old mines to hibernate. When an animal hibernates it goes into a deep sleep. When they are hibernating they look dead. They feel cold and clammy and have a slow heart rate. They may have droplets of water on their fur. Bats need a moist or humid place to hibernate. They need a constant temperature. Little Brown Bats hibernate for 6 - 7 months. DO NOT DISTURB THEM! It could cause them to die. If they wake up, they use up their stored fat energy faster. Often they starve to death. They come out when winter is over and there are insects to eat. We have a very important place for bats near us called the Neda Mine. It is one of the largest hibernaculums in North America. A hibernaculum is where they hibernate in the winter. There are four species of bats found living in the mine. 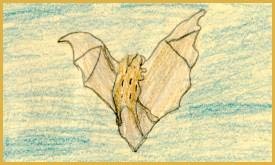 They are the Little Brown Bat, the Long Eared Bat, the Big Brown Bat and the Eastern Pipistrelle Bat. The University of Milwukee manages the bat mine. Due to the crumbly rocks, the Neda mine is dangerous to explore. In order to stop people from going in and getting hurt and to keep people from going in and disturbing the bats, conservationists built safe entrances. A conservationist is a person who works to protect and preserve something. They blasted 30 feet of surface rock and dug a 35 foot deep by 90 foot long trench. To make the new entrances safe, they put steel doors with bars over the openings. The bars were spaced so only bats could enter the mine. The gates cost between $3,000 and 10,000 each.The conservationists were careful to keep the right air movement in the mine. Five entrances have gates and thirteen entrances were sealed. Bats are interesting in many ways. They are one of the cleanest animals because they groom themselves a lot. The Little Brown Bat may live up to 13-14 years in the wild but they usually live about 7 years. The males live longer. Bats make a chatter and sometimes a clicking sound. Bats have many enemies. They have enemies like mink, weasels, raccoons, snakes, owls, hawks, bad storms and especially people. Bats can have rabies the same as other animals. The Bat Conservation International magazine said "Of the 30,000 humans who die of rabies each year, 99% get it from dogs." Bats really have excellent eyesight. Bats also use echolocation to help them find things at night. "Bats will try to get into your hair." There is heat above your head. Insects like the heat and fly around your head. The bats dive after the insects in the air above your head and are not trying to get into your hair. "People sometimes call others batty." Bats dart in many directions but they are in control when they are flying. There are ways people should help protect bats. We should work for laws that protect all bats and that cut down on using pesticides. We should also help to save bat habitats and build bat houses. We should learn about bats and share the information with others. But the dog hid in a log. That ate bat after bat after bat. Arneson, D.J.Bats. Kidsbooks, Inc. 1992. Jackson, Hartley H. T. Mammals of Wisconsin. Madison, University of Wisconsin , Press, 1961. Kurta, Allen. Mammals of the Great Lakes Region. Ann Arbor, University of Michigan, Press, 1995. Riley, Helen, The Bat in the Cave. Milwaukee, Gareth Stevens Publishing, 1989. 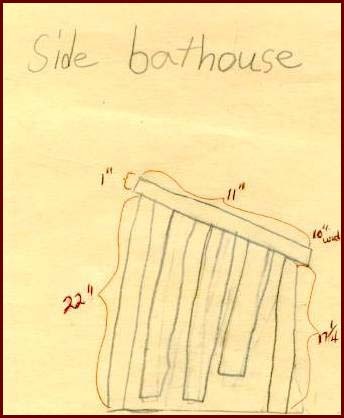 Tuttle, Merlin D. and Donna L. Hensley, The Bat House Builders Handbook. Tuttle, Merlin, "Wisconsin Gains Key Bat Sanctuary," Bats, Vol 14, #4 Winter, 1996, Bat Conservation International, pp3 - 9.